Being such a popular tourist destination in Southeast Asia, it’s still surprising to hear around old myths surrounding Thailand such as being a cheap and pristine destination. Don’t get me wrong, Thailand is still a beautiful place with even more beautiful people, but the truth is that Thailand isn’t the cheap place nor the same place it once was 10 years ago. In fact, before the movie “The Beach” even came out in early 2000 Thailand was pretty much under most people’s radar…and in those days you were able to vacation in Thailand like a king and queen! 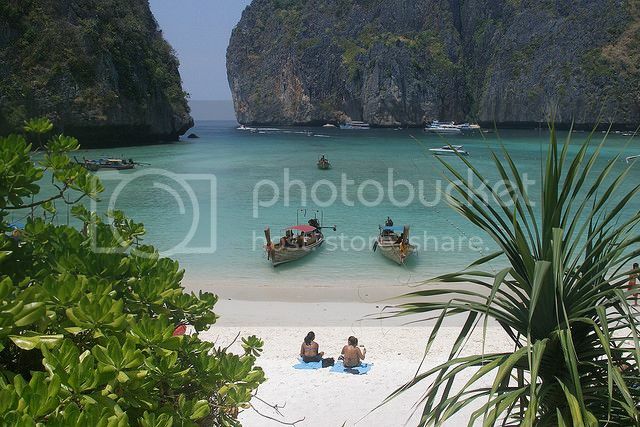 Thailand is easily one of the most visited places in Southeast Asia and tourism is huge business in the country. 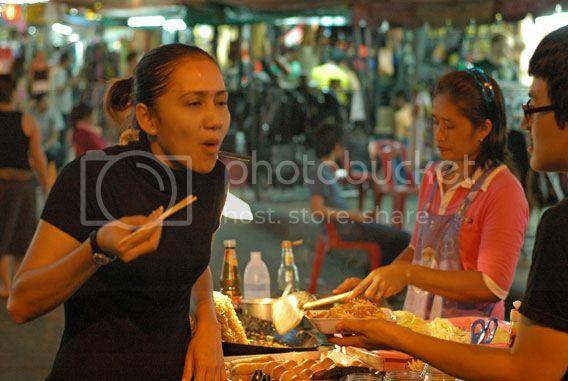 However, most Thai people don’t benefit from the tourism unless they own a restaurant or have a business. This means that you’ll, unfortunately, come across some people trying to "trick you" to make a living. Common scams in Thailand include tuk-tuk drivers overpricing the taxi fare and touts offering bogus discounts for entering the temples (most temples in Thailand are free admission). In all fairness to Thailand though you’ll find people trying to con you out of a few bucks just about everywhere you go. Just remember that the most heavily trafficked tourist areas of Thailand such as Pattaya, Koh Samui, Koh Phi Ph and Phuket are a haven for scams. This is why it's a good idea to avoid the tourist trail if you want to get to know the real Thailand! One of the most common myths about Thailand is that monks lead a restricted life. 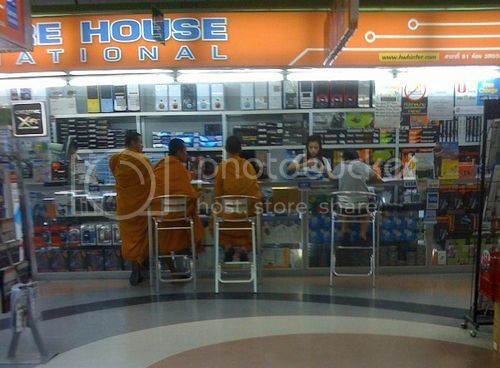 While most Buddhist monks in Thailand live a very conservative lifestyle, there are many Thai monks that are moving with the times and own modern gadgets like mp3’s, cellphones and computers. In fact, one good place to see this in action is in places such as Pantip Plaza IT mall where you'll see monks browsing and shopping! Thai people are the certainly some of the nicest and most tolerant people you’ll ever meet anywhere in the world but that doesn’t mean that the Thai government welcomes with “open hands” your opinion, or anybody else’s for that matter! In fact, Thai people don’t generally like to speak their mind and as a tourist you would also want to follow suit or you could easily land yourself behind bars. 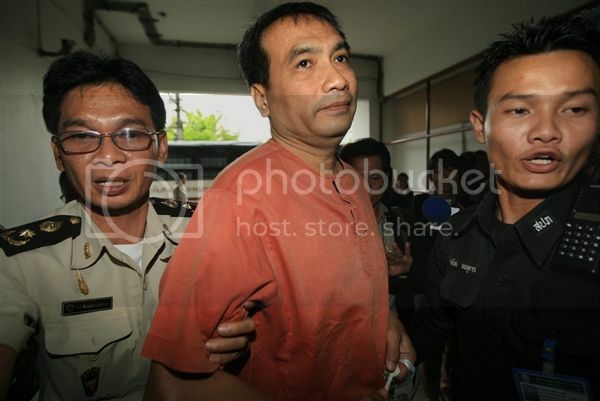 Just ask Joe Gordon…who is an American who was sentenced (Dec 2011) to a year and half in prison for making remarks about the Thai King. One of the biggest common misconceptions about Thailand is that people don’t use or carry guns around with them. the truth is that many people in Thailand do carry firearms for self-defense, though gun violence is not a serious problem in Thailand since anyone caught bearing a gun without a license is fined and even sent to prison! Having said this, there’s a worrying trend in spots frequented by tourists such as Phuket where guns are becoming an issue. Luckily, the Thai government has gotten on top of it by swiftly cranking down on illegal possession of handguns. Still, you wouldn't want to get into any kind of silly altercation or fight while on vacation in Thailand with a local, would you? This couldn't be further from the truth! Despite the fact that alcohol is readily available in the country, one of the common myths about Thailand is that you can drink everywhere and buy booze whenever. 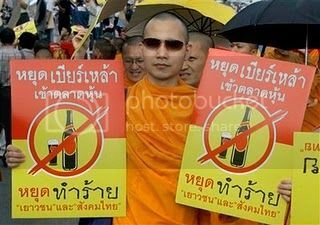 Thailand is mostly a Buddhist country and while you can drink and buy alcohol in most tourist spots in Thailand you must be aware that you cannot drink alcohol in public areas (i.e. parks, buildings, hospitals, temples, etc), during government election days and religious holidays. In fact, during the elections the Thai government will even ban alcohol in touristy places like Pattaya. If you’re caught drinking alcohol when you're not supposed to, you can definitely kiss-goodbye to a hassle-free vacation because you’ll most certainly get fined as much as $300 (or worse, you may even be sent to prison!). Also, remember when booking flights to Bangkok or any other parts of the country that you also have to be over 20 years of age to be able to buy and drink alcohol legally in Thailand. Hot and vegi-friendly Thai food is without a doubt, one of the most common myths about Thailand. Most people traveling to Thailand for the first time assume that Thai food is mostly hot and spicy and meat-free. however, you can definitely bet to find most Thai dishes not to be vegan-friendly since most Thai people actually eat meat, even though they're Buddhist. As it turns out, the main school of Buddhism in Thailand actually don’t have a problem with consuming meat and seafood dishes! You’ll see chopsticks in almost every restaurant you go in Thailand but contrary to popular belief, Thai people don’t use chopsticks unless for eating rice and noodle dishes. The interesting thing though is that most Thai dishes actually require the use of a fork and spoon, though Thai people only use the fork as an aid to push food onto the spoon. It's actually considered bad Thai etiquette to eat food only with a fork.